On January 29, 2018, FaZe Clan, Inc. (“FaZe Clan”) , an online gaming team, was sued by FAZE Apparel, LLC (“FAZE Apparel”) for trademark infringement, false designation of origin, and unfair competition. The case, originally filed in the Northern District of California, was transferred to the Central District of California on Mar. 13, 2018. The case is now undergoing court-directed alternative dispute resolution. When FaZe Clan is not sponsoring energy drinks (“FaZeberry”) or awkwardly self-promoting in Gamestop stores, FaZe Clan sells merchandise promoting their brand. FAZE Apparel asserts that FaZe Clan is an “admitted past infringer” of its marks which simply attempted to “steamroll [FAZE Apparel] and improperly profit off its brand.” According to FAZE Apparel, FaZe Clan has been well aware of FAZE Apparel for at least four years: in 2013, the USPTO refused to register various trademarks for FaZe Clan, finding that such marks would be confusingly similar to those owned by FAZE Apparel. Since then, per FAZE Apparel, FaZe Clan has repeatedly attempted to market “FaZe” materials, only to (allegedly) back off when confronted by FAZE Apparel. Cases like these underscore the importance of careful brand planning. FaZe Clan is now in an awkward position: if FAZE Apparel’s assertions have any merit, FaZe Clan will be forced to either re-brand or seek some form of license from FAZE Apparel. 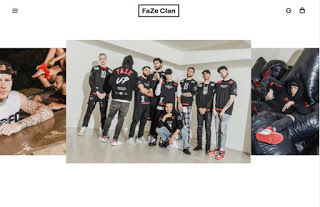 Even if FAZE Apparel’s assertions are not meritorious, FaZe Clan will likely have to spend significant sums to defend themselves from this lawsuit. Either or both of these issues could have been avoided had FaZe Clan taken a more informed and/or conservative approach when selecting its name. This case evidences that an ounce of prevention is worth a pound of cure.